After last weekend, I think it’s safe to say that Coachella has made it onto my list of the most unforgettable experiences ever. 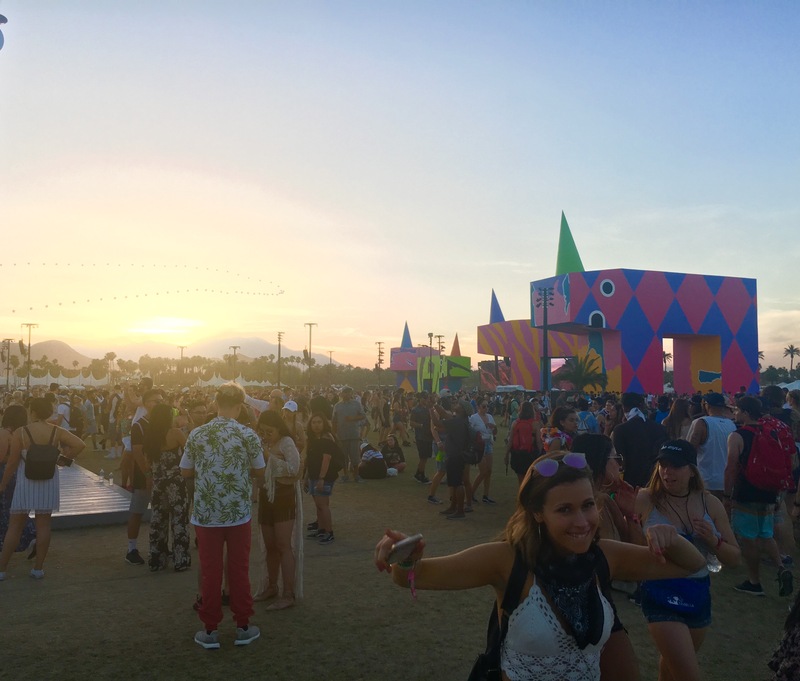 Coachella is a three day music festival in Indio, California, and it happens over two weekends in April. Every year, the headliners and lineup get released a few months before April, and it’s hard not to get excited when the countdown starts and the hype builds. Three of my friends and I packed up a day early and headed out to Palm Springs for Weekend Two. Once we got to the festival, it was hard not to run wild. 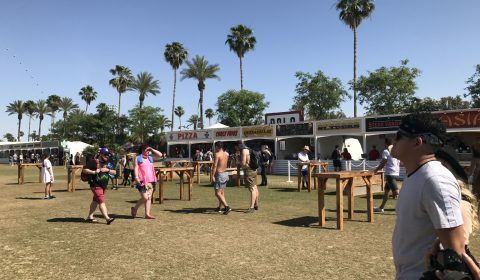 Music was playing constantly from seven different stages, interesting art figures were displayed all throughout the grounds and the variety of fair food was endless (the Monster Fries and freshly squeezed lemonade were my favorites). 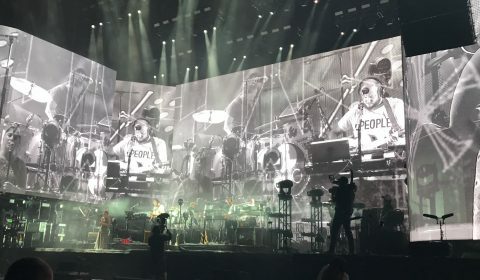 The headliners this year were Radiohead, Lady Gaga (who replaced Beyonce) and Kendrick Lamar. With the release of Kendrick’s new album, “DAMN.,” he was my favorite headliner. Although he didn’t bring out Rihanna as a guest to perform “Loyalty” like I was praying he would, he did sing my favorite song on his new album, “Love,” as well as a lot of his classics. Although, I’ve never been a huge fan of Lady Gaga, she was a fun performer and sounded amazing live. 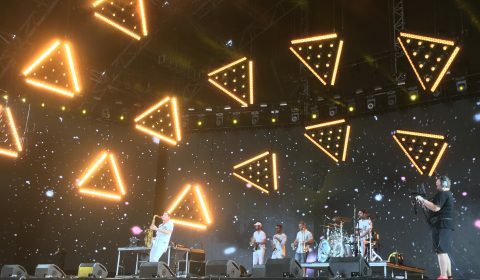 I saw Francis and the Lights when he opened for Chance the Rapper at the Cal Coast Credit Union Amphitheater last fall semester, and he’s such a quirky, energetic performer; I loved seeing him again. 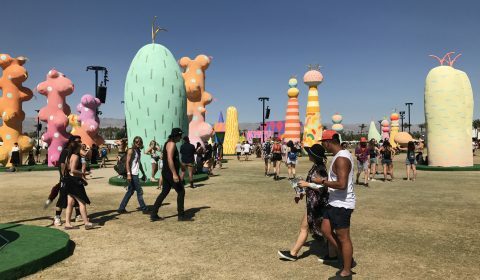 I didn’t catch many full performances because a lot of artists overlapped, but I got to see a few of my favorite songs from each artist: NAO’s “Bad Blood,” Glass Animals’s “Gooey,” Grouplove’s “Tongue Tied,” Porter Robinson’s “Shelter.” The most memorable experience of Coachella was being front row for Bon Iver’s “Skinny Love” (I pushed through waves of people and waited an hour and a half to be that close!). 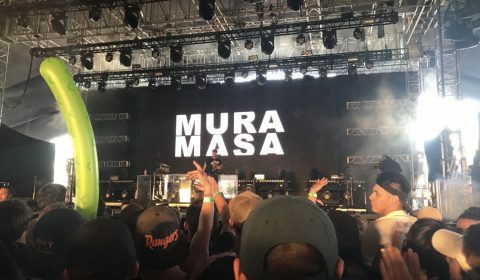 He played at the Coachella Stage, and the whole crowd was silent throughout the performance – it was awe-inspiring. 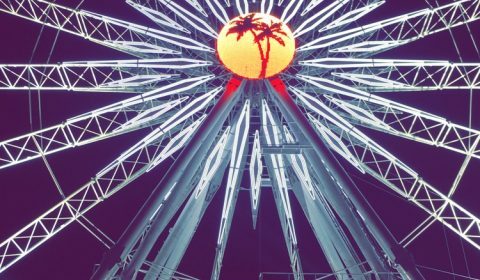 If you’re looking to go to Coachella next year, they do have an advance sale that goes on in the summer. The nice thing about the advance sale is that you can sign up for the payment plan. You can find more information about that on their website! If you’re not sure about getting a ticket that early and want to see the lineup first, tickets go on sale again around January. Food vendors lined every corner, and the variety was endless. Photo by Sabrina Kim. 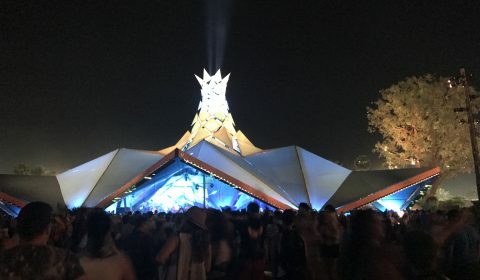 One of the many art structures on the festival grounds. Photo by Sabrina Kim. Front row at Bon Iver. Photo by Sabrina Kim. The Do LaB – one of the stages. Photo by Sabrina Kim. 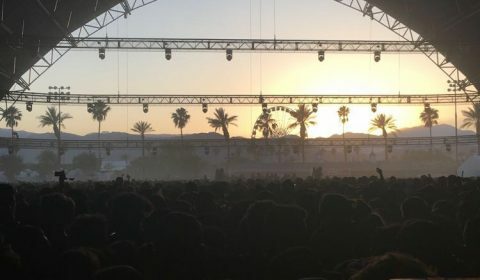 The Sahara Tent at sunset. Photo by Trent Croci. Big Gigantic at the Sahara Tent. Photo by Trent Croci. Featured Image by Trent Croci. Currently a freshman at SDSU studying public relations. Find me wherever the tacos are.